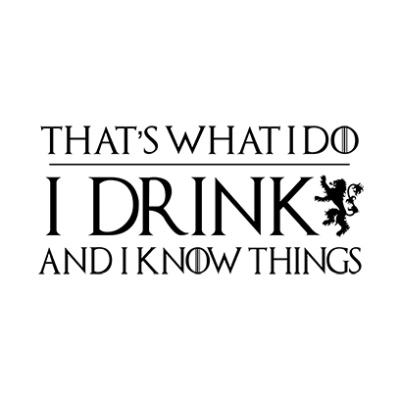 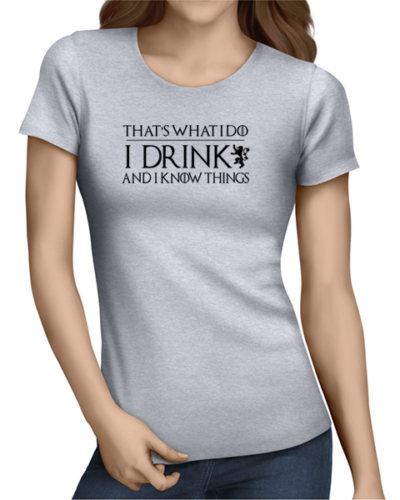 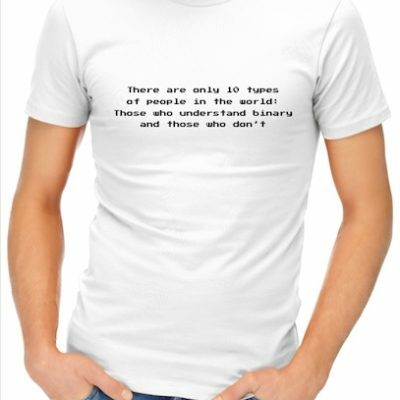 I Drink And Know Things t-shirt. 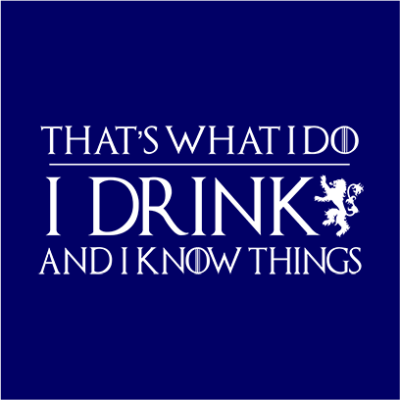 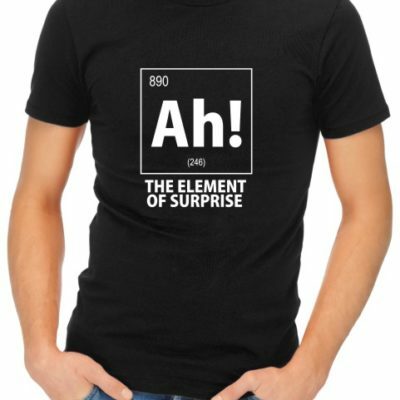 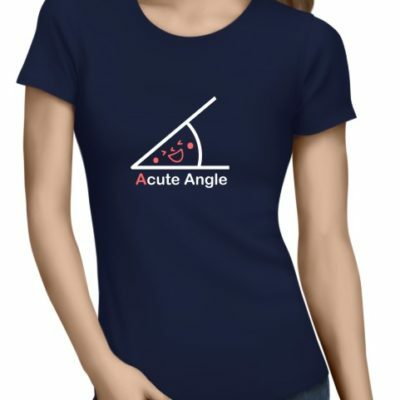 I Drink and Know Things is printed on a high quality cotton t-shirt. 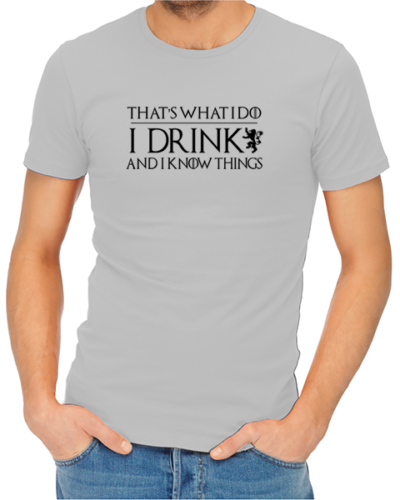 This Game of Thrones inspired tee speaks for itself and for you.